I think Anomaly would make a great movie. If it did make it to the big screen, what actors do you think would be best cast in the roles of Josie and Reid? Tonya: I think Anomaly has a cinematic feel to it and would love (read: die) to see it on the big screen. I think the actors that best match what the characters look like in my head are Chase Crawford from Gossip Girl as Reid and Katherine McNamara from the Disney Channel movie Girl vs. Monster as Josie. 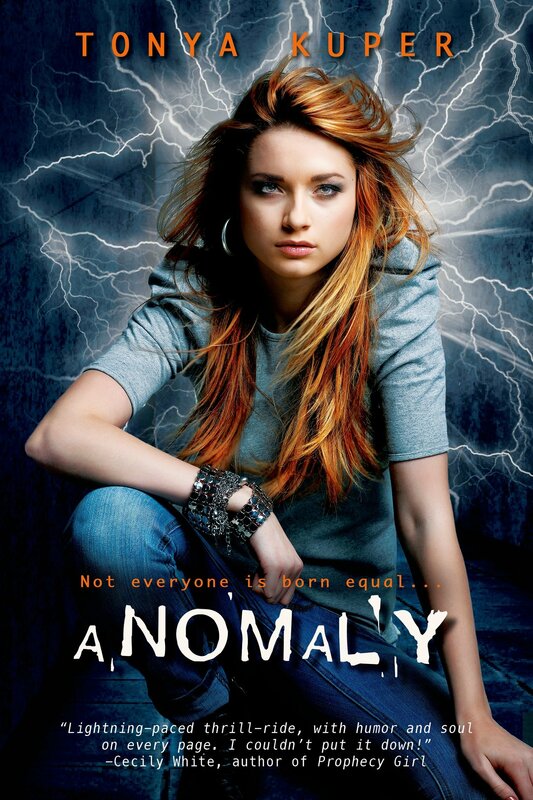 I was stunned a few days later when Katherine McNamara tweeted me saying she was reading and loving ANOMALY – as in, I screamed. Loudly!! After all, in my head, she was who I’d pictured as Josie, this character I’d created and spent the last year of my life with. Well, the stars aligned a few weeks later and I had the opportunity to meet Kat face to face. EEEEEP!!! She is an extraordinary young woman. Besides being obviously talented, she is uber-smart, gracious, down to earth, and just plain sweet. (Oh, and of course, she is breathtakingly gorgeous.) But to me, she was more – she was Josie. I’ll never be able to fully articulate how surreal and thrilling it was to meet the person I based my character on. I am so honored by and thankful for the time with Kat. And I’m reminded, yet again, how the world is such a wondrous place where anything can happen and dreams can come true! Kat is now on Happyland on MTV and is currently filming The Scorch Trials (Maze Runner 2 movie). She’s been in a ton of shows, movies, and got a start on Broadway. You can also find her on Instagram and Twitter. Thank you to Kat, from the bottom of my dorky heart!!! Carl E. Prude, Jr. Sent from my iPad – please excuse any errors, typos, or auto-fill surprises. This is just so wonderful! I’m so happy for you!